On the front side number: 27. 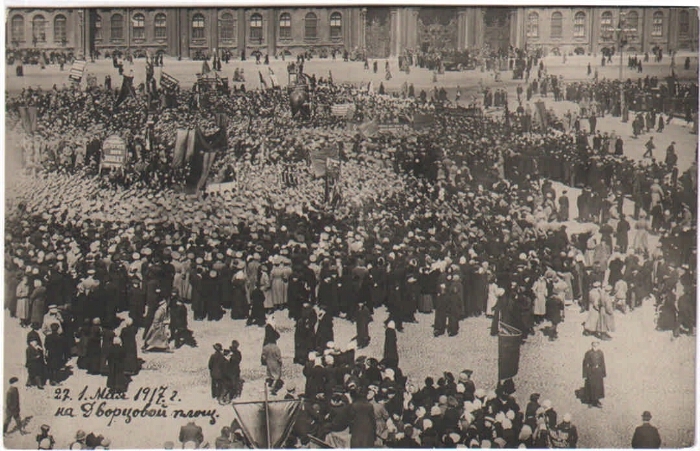 Electronic reproduction of the postcard: May 1, 1917 on the Palace Square [Izomaterial] / [ photo Br. Bull?]. [Petrograd, 1917]. 1 postcard: offset. On the reverse side of the stamp is NP Schmitt-Fogelevich. Location: GMP "Peterhof". I. Bulla, Alexander Karlovich (photographer, 1881-1943). II. Bulla, Victor Karlovich (photographer, 1883-1938). III. Presidential Library (St. Petersburg) .1. Postcards in the Presidential Library fund (collection). 2. The people (the collection). 3. Power (collection). 4. 1917: February-October (collection). 5. 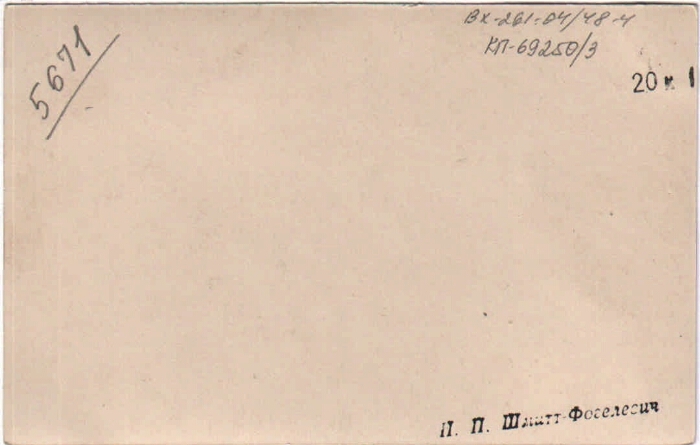 Territory of Russia: St. Petersburg, city (collection). 6. May Day - History - St. Petersburg, city - Postcards. 7. Palace Square (St. Petersburg, city) - Postcards. 8. Documentary cards - Russia - 1909-1917.